Join us for a day of relaxation and exploration of the chakras where we’ll learn more about these amazing energy centres that reside within the body and when out of balance can block our connection to the wisdom of the universe. We’ll use a mixture of yoga, aromatherapy and creativity to re-connect to this everyday magic! 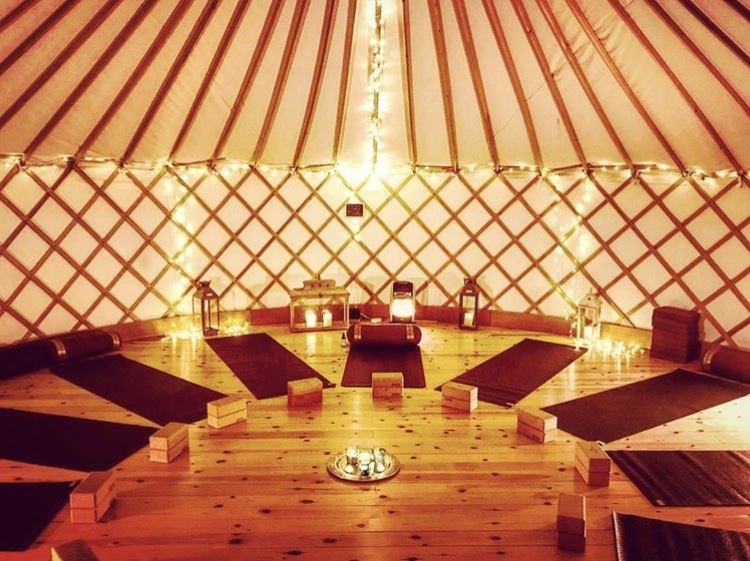 This retreat takes place at at the gorgeous Sussex Country Yurt, near Warnham. 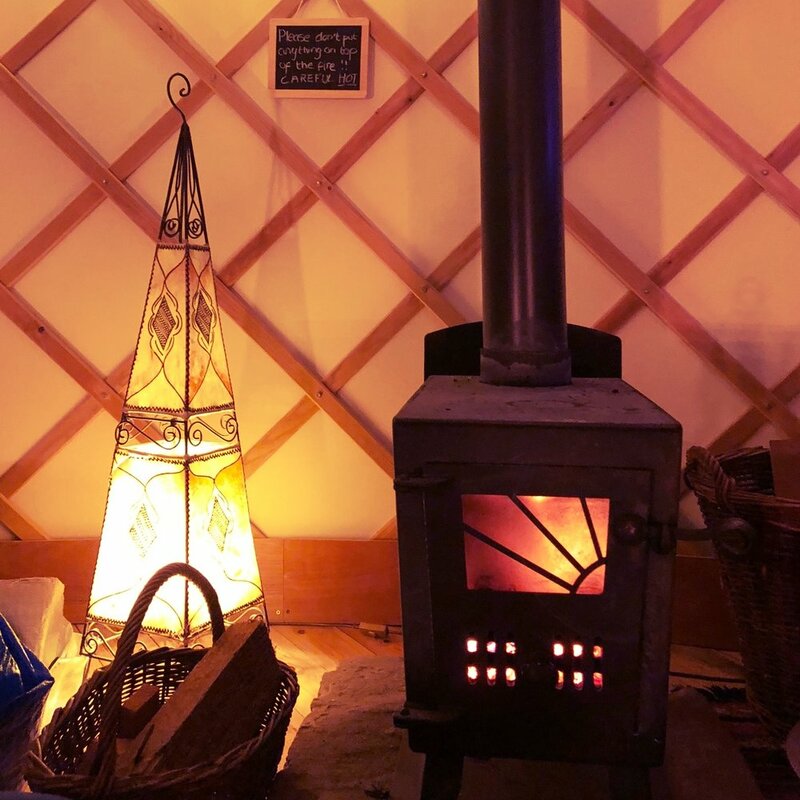 Set on the grounds of a private estate, the yurt is cosy and warm come rain or shine. We keep the woodburner stoked throughout the day and provide plenty of light refreshments alongside our buffet lunch - so there is nothing for you to do except show up in some comfy clothes and let us take care of you. In the Yogic tradition, the human body has seven key energy centres: the chakras. This wheels of energy that spin and vibrate within the energetic body radiate from different points along the spine forming a vertical axis which runs from the base of the spine (muladhara : root chakra) to the top of the head (saharsara : crown chakra). This will be followed by a chakra based aromatherapy taster session led by therapist Heather Croft (Magnolia tree therapies). She will share her wisdom working with essential oils to help you create an aromatherapy rollerball blend that will help you find your centre if you’re feeling off-balance and you can take away on the day. Please note: Both the Yoga and Art activities are suitable for all levels and no prior experience is needed to enjoy this beautiful mindful day. Spaces are super limited on these small, intimate seasonal gatherings, so book soon if you’re keen to join us! Full booking terms and conditions are here. Yoga and Art Retreat: Rise and Shine! Retreat date: Sunday 28th April 2019 / SOLD OUT! With Spring just around the corner, now is truly the time to rise and shine! Please note: both the Yoga and Art activities are suitable for all levels and no prior experience is needed to enjoy this beautiful mindful day. Spaces are super limited on these small, intimate seasonal gatherings, so book soon if you’re keen to join us! Full booking terms and conditions are here. We’re going all in this season to give it up to our wonderful mothers who tirelessly share, care, love and lead us through life. Let us hold this extra special space for you and bounce a little of that love back to where its needed most. We’ll start the day with a super gentle yoga class led by the wonderful Georgie (GLO Yoga). Georgie will guide you through a deeply nurturing and harmonising Yoga flow class to calm and soothe the busy mind of a mumma whilst awakening the shakti goddess within. We’ll flow consciously through a revitalising Dancing Warrior Goddess sequence and use Yoni and Lotus Mudras alongside powerful affirmations to stimulate the feminine energies within. After a short break we’ll settle into a gentle mindful creativity session under the guidance of the lovely Ellie Green (SAS founder). She’ll be leading a mindful stone painting workshop, where you’ll learn about ancient symbols and patterns and use these to create little power stones to mark this moment of self reflection. Evoke the energies you’ll need most when you step back into the world. We’ll then settle down for a warming vegetarian buffet lunch - a chance to sit, chat and share by the wood-burner. 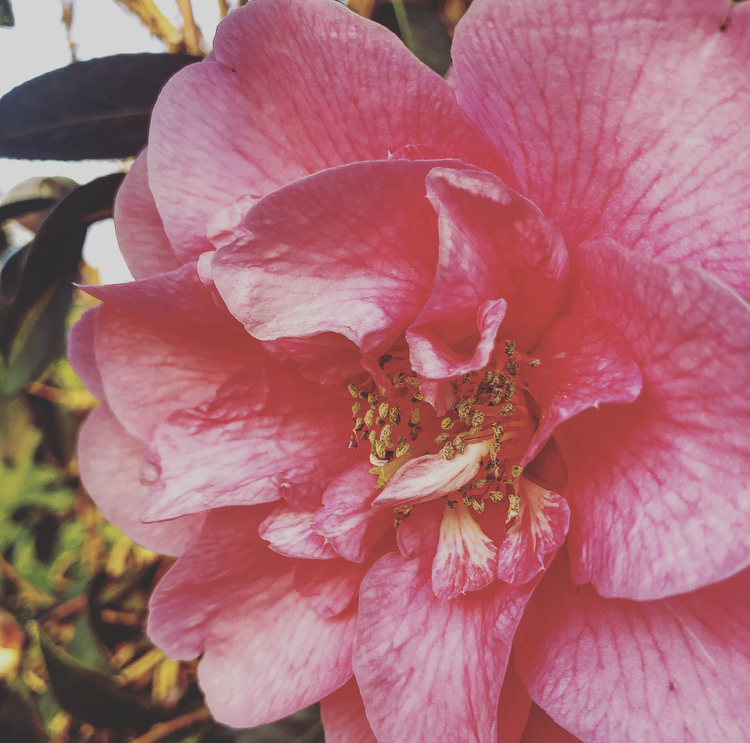 In the afternoon you’ll be offered an aromatherapy cream making workshop led by complementary therapist Heather Croft of Magnolia Tree Therapies. She’ll show you how to create blends of aromatherapy oils to create an aromatherapy massage cream. She’ll then be offering each of you a gentle reflexology hand-massage to demonstrate how to use these creams on yourself. Afternoon tea is next, with a slice of home-baked cake and a warming cup of tea by the fire before we settle down in a pile of blankets and cushions for a super nurturing Yoga Nidra session led by our wonderful Georgie. Yoga Nidra is a guided meditation that leads to deep relaxation and will leave you feeling zen. As usual we’ll end the day with a cosy fire-side chat and some collective breath work before sending you away with a huge hug and a lovely self-care goody bag! Join us in the Sussex Country Yurt for a day of creativity for well-being. Both the Yoga and Art activities are suitable for all levels and no prior experience is needed to enjoy this beautiful mindful day. Save the date: Sunday 10th February / Mid Winter Gathering / Heart Chakra Focus / email surreyartschool@gmail.com to join waiting list! Spaces are super limited on these small, intimate seasonal gatherings, so book soon if you’re keen to join us and watch this space for larger gatherings at new venues across Surrey in 2019! Full booking terms and conditions are here. 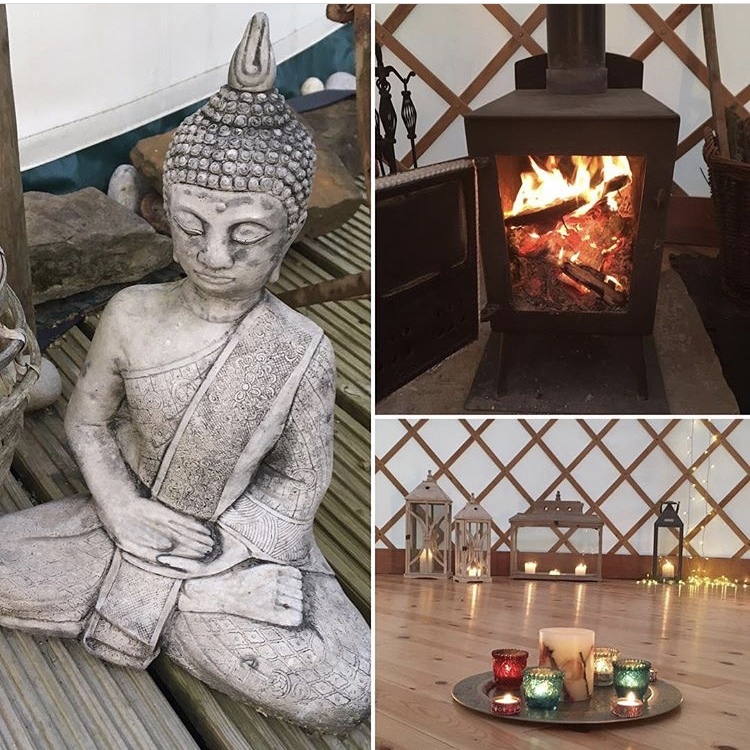 Come in from the cold and join is for an ever so special, small and personal Winter Gathering with Surrey Art School and Glo Yoga at the beautiful Sussex Country Yurt. Time to light the fire, gather in a quiet space, reflect on all that has passed and bring the focus inward as we prepare for darker winter days ahead. Join us in this magical yurt in a stunning, secluded rural location for a day of yoga and creativity for well-being. In the comfort of this cosy space we’ll kick off the day with a warming and energising yoga class - lighting a fire in your belly with GLO Yoga. This will be followed by a super soothing FREE reflexology taster session led by the lovely Heather from Magnolia Tree therapies. We’ll then gather together again for a warming winter feast, tucking into a hearty vegetarian lunch as we chat and reflect on our morning of wellbeing workshops. In the afternoon we’ll settle back down for a festive crafting workshop led by Ellie - Surrey Art School - creating gorgeous foraged winter wreaths and yule decorations that you can take home to deck your own halls. We’ll finish the day with deep relaxation, meditation and yoga nidra before sending you away with a hug and a gift bag full of self care goodies! Allow the present to be a gift to yourself this winter. If you go down to the woods today you might be surprised at the benefits to your overall well-being that spending some time amongst the trees can provide. Inspired by the Japanese tradition of forest bathing, we'll be heading back into the woods for our Autumn Yoga and Art retreat to ground ourselves from root to tree top. 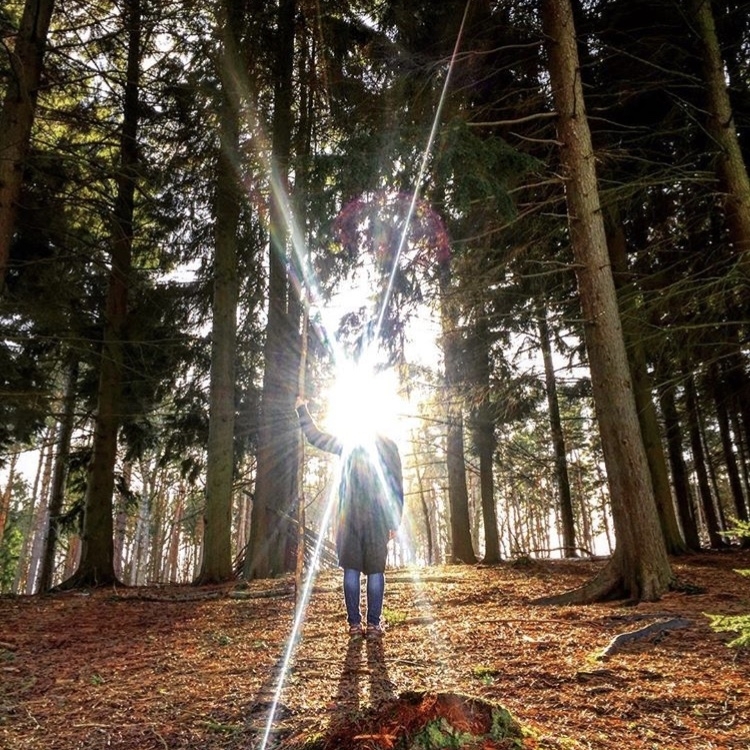 Come down to the woods with us for a magical experience inspired by the wonders of the beautiful woodland at our stunning retreat site in the heart of the Surrey Hills. The focus of this full day retreat is to ground ourselves - in a calm space that will help us reconnect to our core purpose - and for this we are using the trees as inspiration. The first - a tree inspired yoga class that will help you to draw your energy back down to the ground and help you find stability and strength in your yoga practice. We will be awakening and activating the Muldhara or root chakra - the body's most primal and fundamental energy centre associated with instinct, survival and safety and closely connected to the earth and nature. The second - a tree inspired art workshop where you'll be creating your own 'tree spirit' that will be installed on a tree of your choosing at the site. 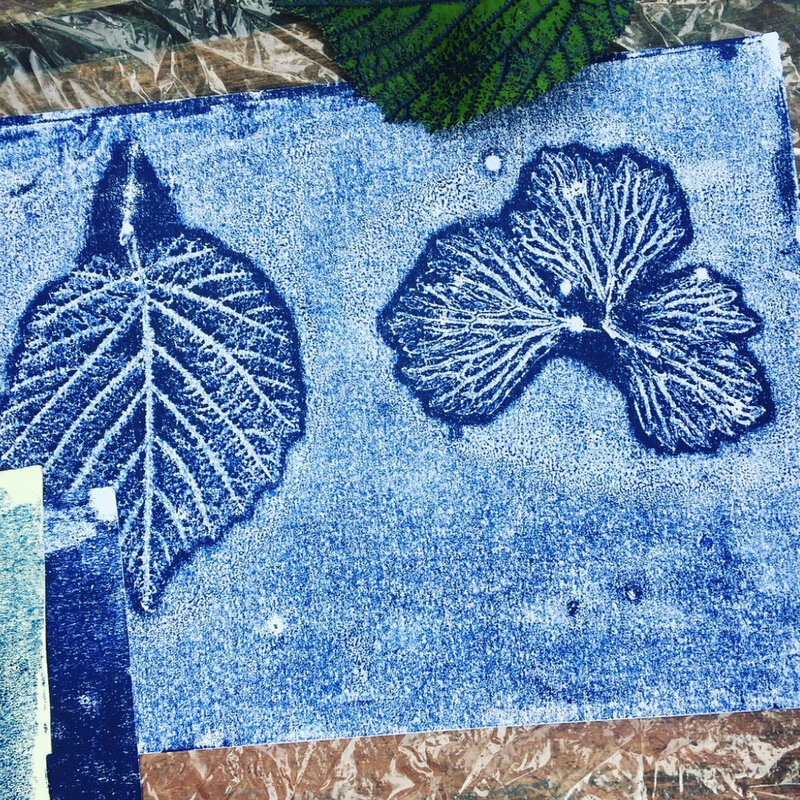 We'll then be using fallen leaves to create some crisp, detailed monoprints using a vegetable base printing ink. Finally we'll build a mindful fire and share our wishes and dreams for the season by adding a log to the fire. We'll also be inviting back Magnolia Tree therapies to offer another FREE REFLEXOLOGY taster session - this one using pressure points on the hands and feet to re-energise and balance the body. Expect a warming gathering of like-minded people, where you can make a bit of time to be creative but also to reflect and reframe in preparation for the Autumn season. You'll also get a screen-printed goodie bag to take away on the day! Book online below to secure your spot. Spaces still available for Sunday - book online to secure your spot! Full booking terms and conditions are here. As Surrey Hills Yurts is a totally eco-friendly site we encourage car-sharing to this event! The Art & Yoga retreat was a wonderful way to spend a Sunday treating yourself to some self-care...We've all seen the Mandala colouring books but knowing how to create your own Mandala is a lovely thing to learn. This combined with the yoga session with Glo Yoga out in a field in the Surrey Hills...wow! Just beautiful!